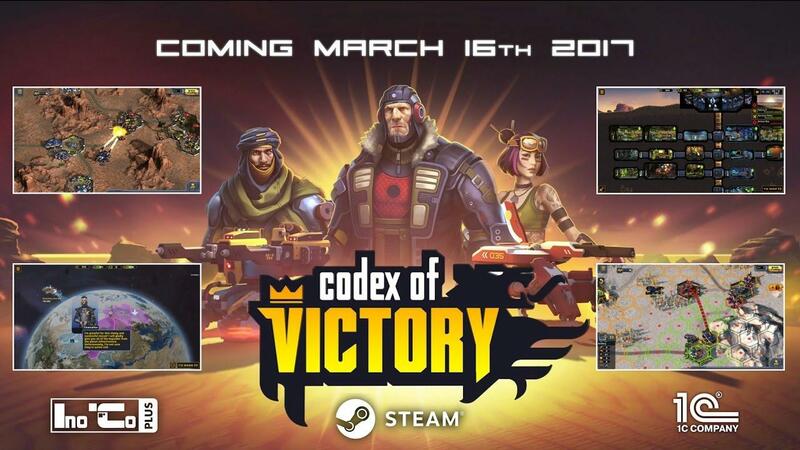 The developers of Codex of Victory [Steam] emailed in to let me know that their turn-based strategy with real-time base building elements will release this month with day-1 Linux support. The scheduled full release is March 16th, with it already available in Early Access right now. I was surprised, as I watched the trailer and thought it looked really good and I had never heard of it! We seem to have never covered it either, so it just slipped through at some point. I have a request in for a review key, so we should be able to get some proper thoughts up on it sometime soon. what does it mean "turn based combat with real time base-building elements"? To me it sounds like one of those web games. Colombo what does it mean "turn based combat with real time base-building elements"? To me it sounds like one of those web games. Battles will be turn-based, but you build your base in real time like and RTS. Exactly how it sounds, but I haven't played it yet to be 100% clear. Will wait for a key. This looks nice, maybe I'll get it for my son! Maybe it is more like UFO? Well, thank you for repeating what you already wrote, and what I wrote, without bringing any new information. Maybe it will be like UFO, there was base building technically "real time" with turn-based combat. Well, what did you expect exactly? This looks really interesting. I prefer turn based combat over real time combat. Judging from the video there seems to be quite diverse units and tactics in unit placement and unit upgrading involved. Would be nice if they will offer a Linux demo (they already have a "PC" demo - PC seems to be Russian or so for "Windows", I guess). But I worry that - as usual nowadays with smaller and not so well known titles - there won't be enough players for reliable multiplayer gameplay.